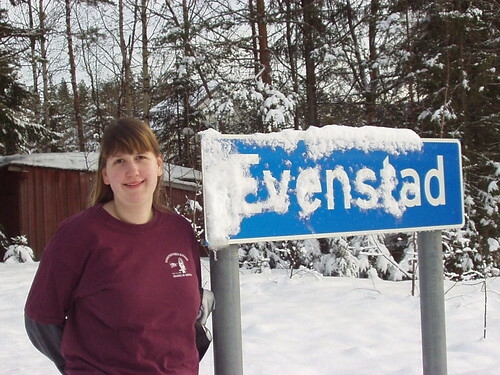 Seven years ago today we left on a trip to Norway in search of the town of Evenstad, which is where some of Amy’s ancestors are from. It was her great-great-grandparents from this town who came to America. 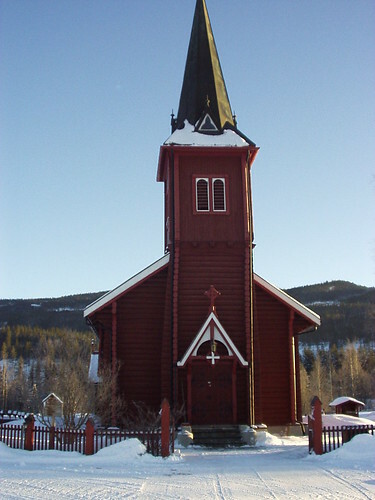 Evenstad is a small Norwegian town on the east bank of the Glomma river in the Stor-Elvdal municipality. 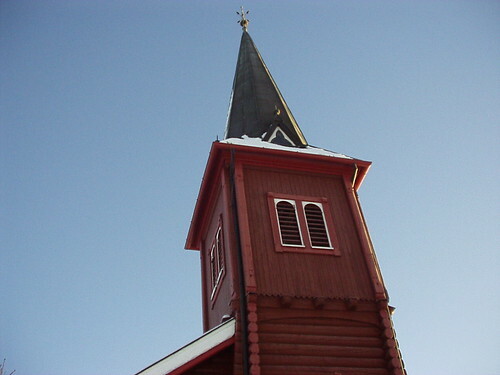 It is a very small town with a population of only 77 (in 2005 according to statbank) and is best known for its small campus of the Hedmark University College which has a Faculty of Forestry and Wilderness with about 120 students. 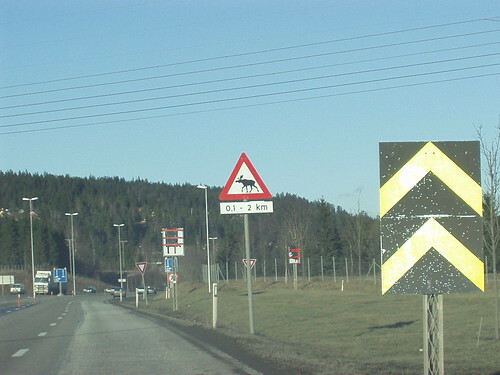 After flying into Oslo Lufthavn on February 14th, 2002, we rented a car and drove north to Hamar. 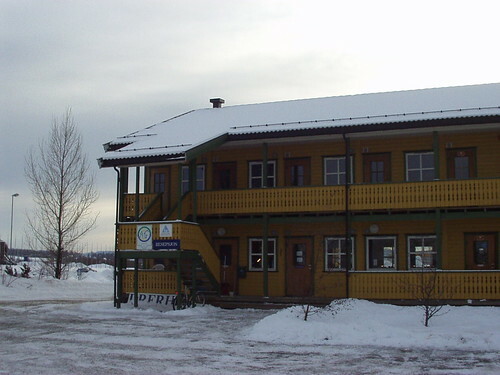 Here we spent the night at the Vikingskipet hostel, right next door to the Vikingskipet Olympic Arena which is an indoor speed skating facility built for the 1994 Winter Olympics. 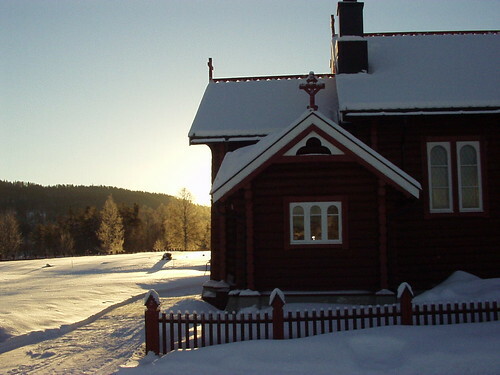 The next morning we took the 25 east to Elverum and from there the 3 up to Koppang along the Glomma river. 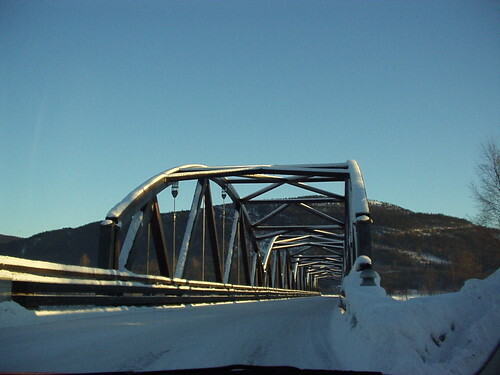 Everything was covered in snow and the road became worse as we came closer to Evenstad. At one time we caught a glimpse of a moose on the side of the road. 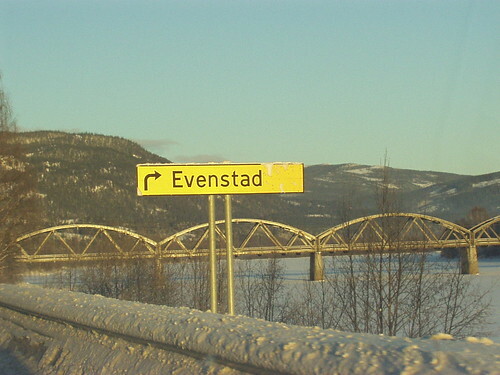 We approached Evenstad on the west bank of the river and crossed the Evenstad Bridge at 8:45am. The truss bridge is nearly 600 feet long and was completed in 1996. It is one of the longest wood bridges in the world. The houses and farms in Evenstad are spread far apart. We drove around a bit and saw two students cross-country skiing to school. It was a beautiful sunny day and a very peaceful place. 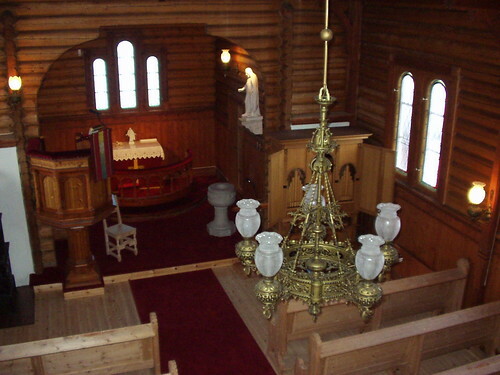 Our first stop was at the Evenstad church. 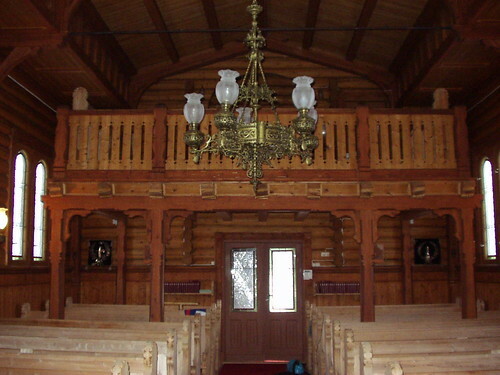 This timber church was constructed in 1903 and completed in 1904. 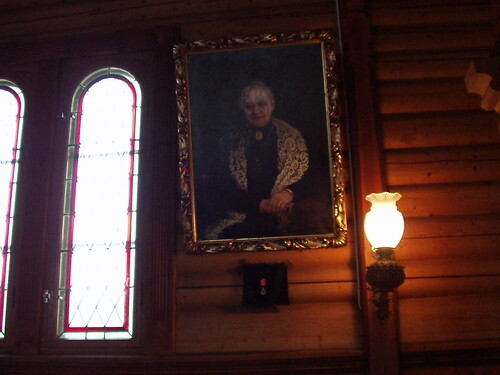 It has seats for 120 people and was built in honor of Anne Evenstad, who founded the forestry school. We really wanted to go inside the church, but it was closed. 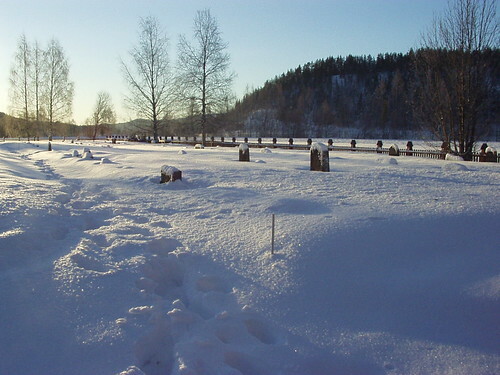 There was also a small graveyard covered in snow. Most names on the gravestones were Evenstads. 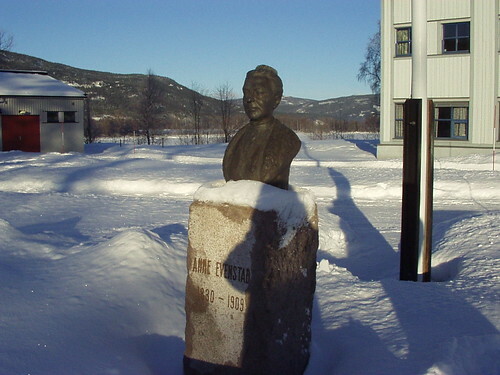 At the school we found a statue of Anne Evenstad, who transformed the existing Evenstad farm into a forestry school more than 100 years ago. 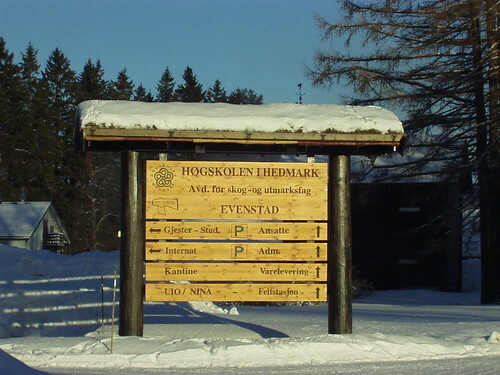 In 1989 it became part of Hedmark University College. 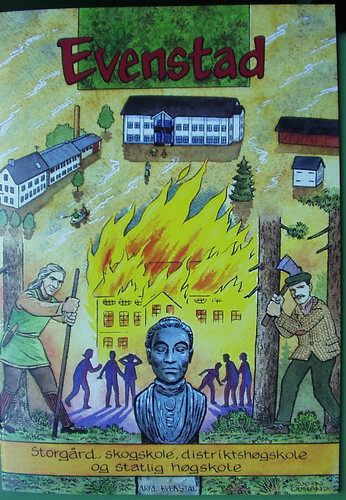 We talked to someone at the school who gave us some comic books about the history of Evenstad and the school. 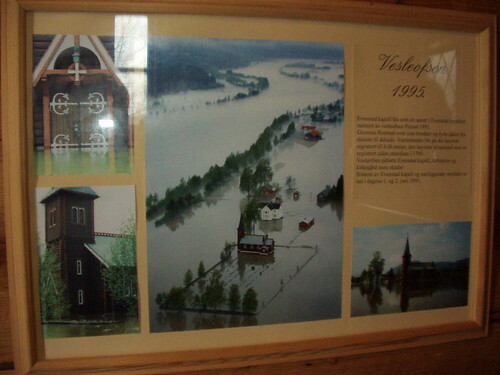 There was a picture on the wall of 1995 when the whole town of Evenstad was flooded by the Glomma river. This entry was posted on Saturday, February 14th, 2009 at 3:13 am CET and is filed under Travel	with tags . You can follow any responses to this entry through the RSS 2.0 feed. You can leave a response, or trackback from your own site.